PSYBEHAV2019 Venue -- 2019 4th International Conference on Psychology and Behavioural Sciences, Xi'an, China. 2019 4th International Conference on Psychology and Behavioural Sciences (PSYBEHAV2019) will be held at Holiday Inn Xi’an Big Goose Pagoda (西安大雁塔假日酒店) of Xi'an, during May 29-31, 2019. 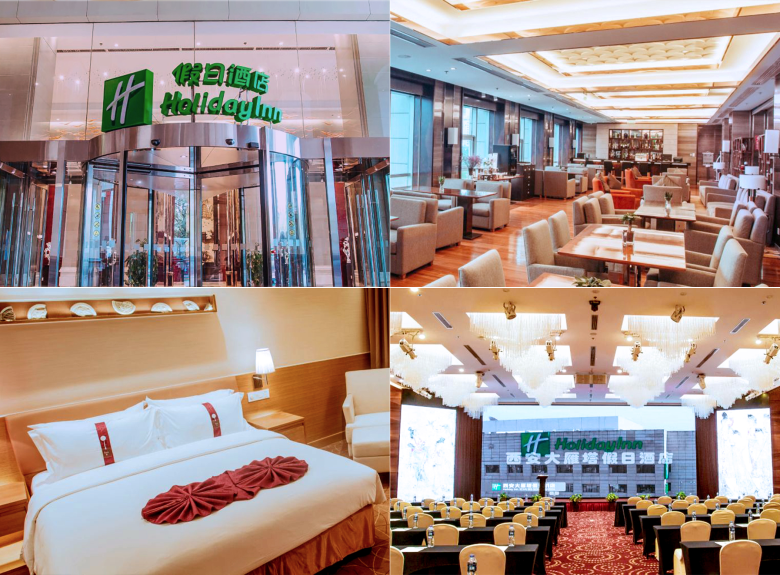 Holiday Inn Xi’an Big Goose Pagoda, conveniently located at South 2nd Ring Road and 40 kms from Xi’an Xianyang International Airport, which is close to Chang’an University and Xiaozhai shopping district. Commute easily to other parts of the city with the nearby Sport Center Subway Station or taxis are readily available in the district. Its adjacency to Xi’an’s most reputable museum and attractions provide extra value to stay for a cultural tour. Xi'an (西安), the capital of Shaanxi Province, located in the northwest of the People's Republic of China, in the center of the Guanzhong Plain. It is one of the oldest cities in China, the city was known as Chang'an before the Ming dynasty. Xi'an is the oldest of the Four Great Ancient Capitals of China, having held the position under several of the most important dynasties in Chinese history, including Zhou, Qin, Han, Sui, and Tang. Xi'an is the starting point of the Silk Road and home to the Terracotta Army of Emperor Qin Shi Huang. There are many tourist spots in Xi'an, such as the world-famous Terracotta Warriors (兵马俑), impressive Big Wild Goose Pagoda (大雁塔), grandiose Ancient City Wall (西安明城墙), etc. The Terracotta Warriors (Figure 1), also referred as Terracotta Warriors and Horses, is located in east of Lintong District of Xi'an, China, lying Lishan Mountain in south and facing Weihe River in north. With its large scale and overwhelming momentum, the Terracotta Warriors is regarded as the Eighth World Wonder and was listed into 5A world cultural heritage in 1987. The Terracotta Warriors is a collection of terracotta figures showcasing the armies of Qin Shi Huang, the first Emperor of China. There are three main square-shaped pits hosting these warriors, chariots and horses. Xi'an City Wall (Figure 2), square-shaped, is located in the downtown of Xi'an, 12 meters in width, 18 meters in the bottom-width and 15 meters in top-width. Xi'an city is enclosed by walls in four directions, which protects this ancient city solemnly. The east wall stretches 2590 meters long, west wall, 2631.2 meters, south wall, 3441.6 meters, and north wall, 3241 meters, with 13.7 kilometers in circumference. There are four gates equipped into the wall, namely Changle gate in east, Anding gate in west, Yongning gate in south and Anyuan gate in north. Big Wild Goose Pagoda (Figure 3) is a Buddhist pagoda located in southern Xi'an, which is an architectural marvel in China and regarded as the land mark of Xi'an, appealing numerous travelers home and abroad to pay a visit every year. Big Wild Goose Pagoda was started to build in 652 during the Tang Dynasty, rebuilt in in 704 during the reign of Empress Wu Zetian and renovated during the Ming Dynasty. The pagoda hosts sutras and figurines of the Buddha brought to China from India by Xuanzang, a prestigious Buddhist translator and traveler in Tang dynasty. The Xi'an Muslim Food Street (Figure 4) is the collective name for a number of streets, including Beiyuanmen Street, North Guangji Street, Xiyangshi Street and Dapiyuan Street, and it has become a famous attraction of Xi'an for its profound Muslim cultural atmosphere. Though Muslim Street is regarded as a tourist scenic spot by foreigners, it’s actually considered a snack street by the locals, and is an ideal place for locals to kill time during a hot summer. As a matter of fact, what makes this Muslim Street a food street is unending lines of various restaurants and food stalls, some of which specialize in selling cakes, others in dried fruit or breads, and hordes of stalls selling barbequed meats on skewers. © Copyright 2015-2019 4th International Conference on Psychology and Behavioural Sciences - All rights reserved.